Great music discovery is effortless and free with Pandora. Just start with the name of one of your favorite artists, songs, genres or composers and we will do the rest. 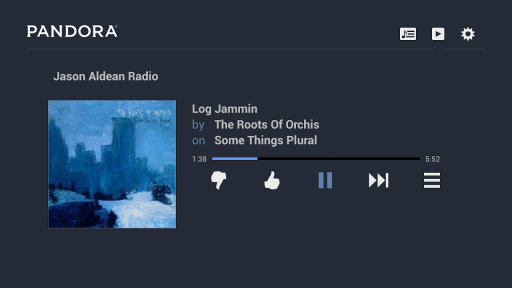 Its easy to create personalized stations that play only music youll love. Tap into an entire world of music, including almost a century of popular recordings  new and old, well known and obscure. You can create up to 100 personalized radio stations with your free account. Not sure where to start? 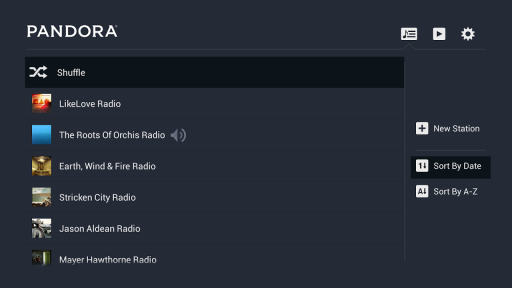 Explore hundreds of music and comedy genre stations. If you are already a Pandora listener, just log in to enjoy all of your existing stations. 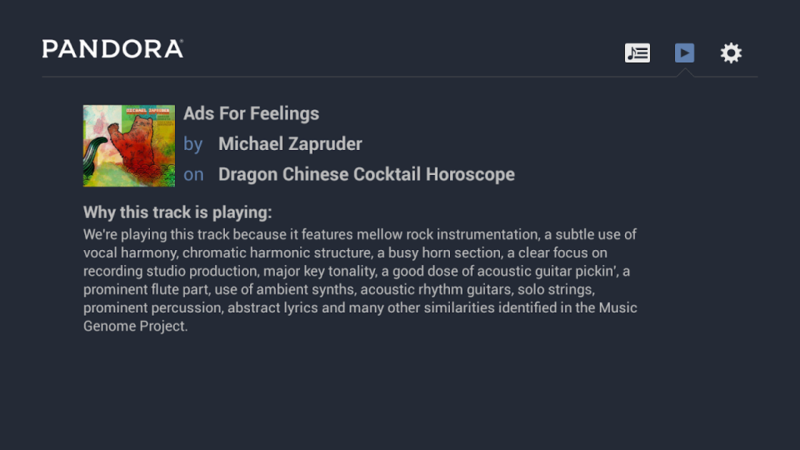 Pandora on TV is fully integrated with Pandora on the web and mobile. No matter where you listen, it is always your music  your stations, your preferences, your favorites.